A combination of quit-smoking therapies is more effective than using just one for male smokers and people with a high level of nicotine dependence. Researchers from Duke Medicine analyzed the outcomes of 349 people who reported smoking ten or more cigarettes per day. The participants were given a six-item questionnaire that measured their level of nicotine dependence. Before they quit, the researchers provided the subjects with a nicotine patch. After a week on the nicotine patch, the 222 participants who didn’t reduce their smoking by 50 percent were randomly assigned to take either varenicline (sold as Chantix) and a placebo or a combination of varenicline and bupropion (sold as Zyban). The combination of bupropion and varenicline showed obvious benefits over varenicline alone. At weeks 8 to 11 after their target quit date, 39.8 percent of participants on the combination treatment weren’t smoking, compared with 25.9 percent taking varenicline alone. The combined treatment was much more effective in male than female smokers, and in those with a high level of nicotine dependence versus those who had lower levels. The findings, published in the American Journal of Psychiatry, also indicate the value of using a method to determine which smokers are likely to quit using the patch alone. 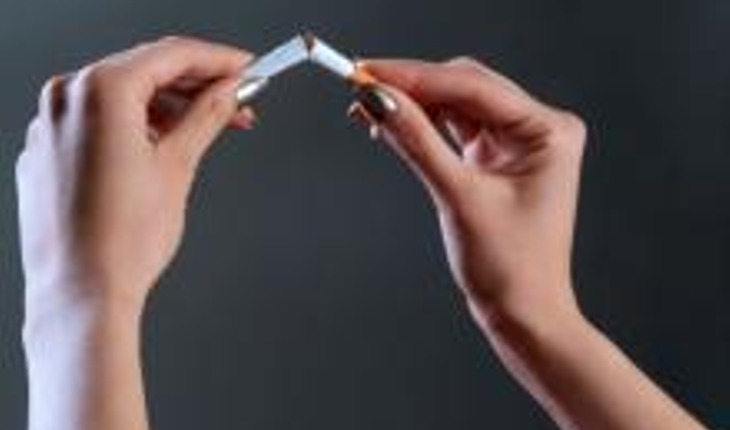 In the model developed by Rose and his colleagues, smokers start using a nicotine patch before quitting, and based on their reduction in smoking, researchers then determine who is likely to successfully quit with or without additional treatments. Stop-smoking treatments are currently only modestly effective. Research indicates that less than 25 percent of smokers are abstinent a year after treatment.